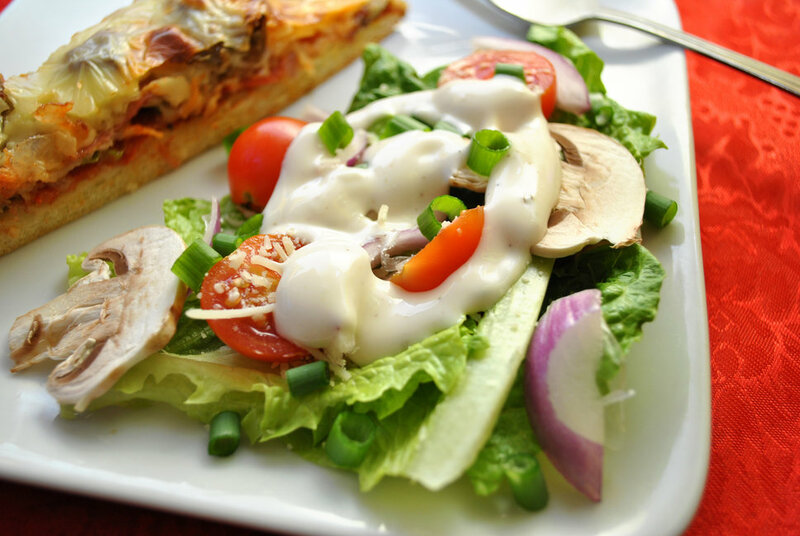 Salad Dressings | All American Foods, Inc.
Label Information – Pro Mix® ingredients allow wholesome dairy ingredients such as buttermilk, milk, and sour cream to remain a reassuring presence on food labels. Flavor Range – Pro Mix® ingredients improve flavor by providing a variety of base flavors that complement and enhance the spice and herbal flavors in salad dressings. Pro Mix® ingredient flavor profiles range from sweet to nutty and from fresh to cultured dairy. Texture – Pro Mix® ingredients provide structure and texture to spoonable and pourable salad dressings by supplying proteins and carbohydrates that promote the emulsification of oils and the development of viscosity under high acid conditions. Emulsification – Pro Mix® ingredients improve processing and stability of salad dressings by supplying specific proteins required for effective emulsification and stabilization of fats and oils under a variety of acid and shear conditions. Shelf Stability – Pro Mix® ingredients provide a shelf-stable salad dressing by using amylase-free raw materials during manufacture and by testing of final Pro Mix® ingredients for the absence of amylase activity. Dispersibility – Pro Mix® ingredients provide easily dispersible dressing bases and mixes that allow rapid hydration in liquids allowing ease of use for food processors or for end users.